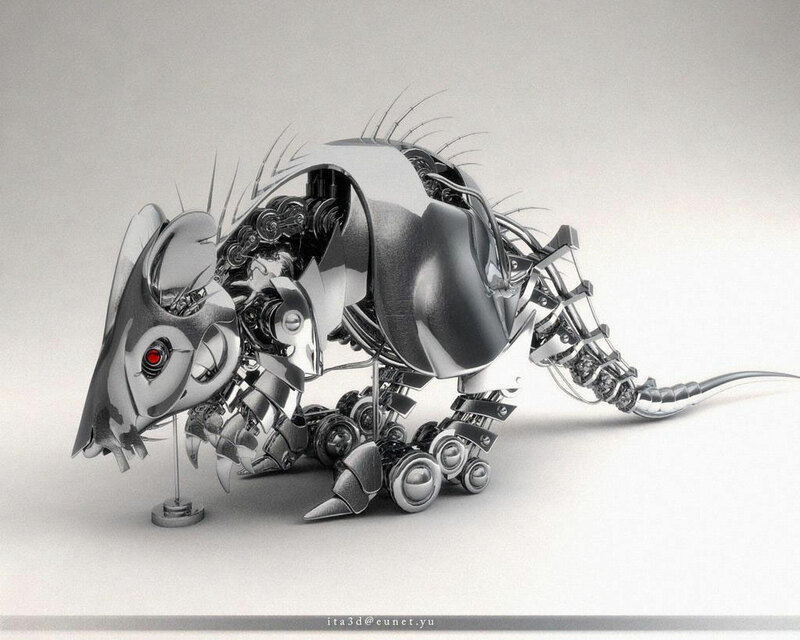 It’s been a while since we had a Stainless Steel Rat on this page, so time to put this right. I came across this image by accident doing a Google image search for ‘mecha’. It is from a site called Ambient Art and appears on the 3D-Robots page. The site is in German, and the artist appears to be Marko (aka ita3D), who has a Yugoslavian e-mail address. Other than that, I can’t tell you anything about this image — except that I like it very much! Click on the image to see it in all its glory. Why Do They Hate Atheists? We atheists lead happy lives, never concerned with the-dying-and-burn forever-in-hell nonsense. We know better. We enjoy happiness with our friends and neighbors and ignore all the greed and rituals that pay the parasite priests. Let them wallow in their medieval superstition while we enjoy all the wonders of our God-free universe. All that the godly feel is jealousy. Over at the ABE secondhand books website, Scott Laming has written a beginner’s guide to Steampunk — and includes Harry Harrison’s A Transatlantic Tunnel, Hurrah! under the heading ‘Literature That Influenced Steampunk,’ where he is in the company of Verne, Wells, Ward Moore, Mervyn Peake, and Michael Moorcock.